Within the aquaponics system, there are three main growing techniques that can be implemented: Media Based, Nutrient Film Technique (NFT), and Deep Water Culture. Media Based: The media based method consists of growing the plants in a large container filled with media, which can range from gravel to perlite. This method usually is the one with the fewest components, as the solid waste is broken down throughout the media, removing the need for an extra buffer filter. However, this system does not produce a maximum output of plant growth. The Nutrient Film Technique and Deep Water Culture method produce at a faster rate because they have additional components. 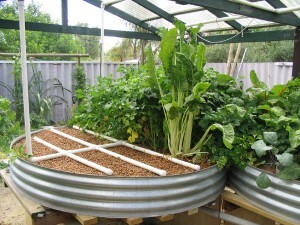 This method is good for aquaponics being done as a hobby rather than a commercial scale unless developed further. This may be easier and more inexpensive to implement in a classroom. It also provides for a more secure grow bed to allow for larger plants, mostly of the fruiting variety. In the classroom, fruiting plants are impractical to grow because of their longer growing period. Also, because the current method is not necessarily commercial grade, it may not be the best for teaching about a probable solution to the problem of food insecurity. Nutrient Film Technique (NFT): The Nutrient Film Technique is more widely used for hydroponics. 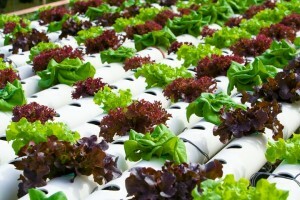 However in some cases, it can be used for aquaponics as well. It involves growing the plants in narrow channels (e.g. gutters), allowing for continuous but thin flow of water, which gives more oxygen and a constantly new supply of nutrients. This method though is limited in that only certain small plants (such as leafy greens), without large roots, can be grown in the system because of the high risk of clogging. The organic waste from the fish also creates a potential for clogging, so careful attention to plumbing, specifically pipe diameter, must be taken into consideration. Due to risk of clogging, this method is not widely used in aquaponics systems. Also, it requires the addition of a biological filter because much of the system is not exposed to air. The NFT method requires constant maintenance including cleaning the piping on a consistent basis and only a small set of plants can be placed in this aquaponics design, so this may not be the best method for classroom integration. Deep Water Culture: The Deep Water Culture method, also known as the raft method, is the technique that we are using to design our aquaponics systems here at ISB. It involves cutting holes in a raft (here at ISB, we are using styrofoam insulation rafts) to secure the plants and to also allow the roots to be suspended in the water. In order for additional securing, net grow pots can be placed in the holes and filled with clay/coconut media for plant substrate. Filters are placed throughout the cycle to ensure proper recirculation. 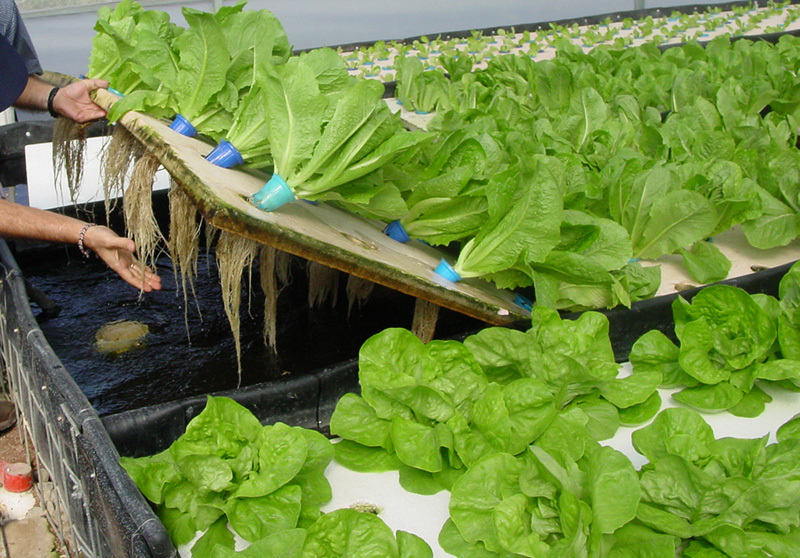 Because of the raft, the grow beds are required to be larger than when using a media based method or the Nutrient Film Technique, this is beneficial for stress reduction and to avoid potential problems regarding water quality in the fish tank. The Deep Water Culture method is most likely the highest producing method because of its design. The Deep Water Culture method is the method that is most promising for commercial and mass production endeavors, because the raft can cover a large amount of space and once the plants are harvested, the raft can be reused for another cycle of planting. Because this method can be implemented on a large scale, it is perfect for a systems model to tackle the global issue of food insecurity. The Deep Water Culture Method provides an excellent model for sustainable food security and allows for the most exploration into a systems biology approach to science. It answers the question of, how does one model a complex environmental issue in a simple, classroom setting? It is also relatively inexpensive and has a straightforward set-up. 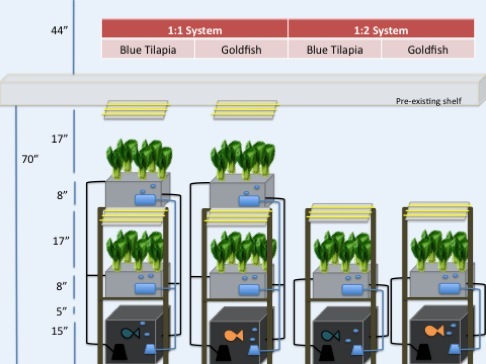 “Nelson & Pade Aquaponic Technology, Systems and Supplies.” Different Methods of Aquaponics. Nelson and Pade, Inc., n.d. Web. 16 July 2014. 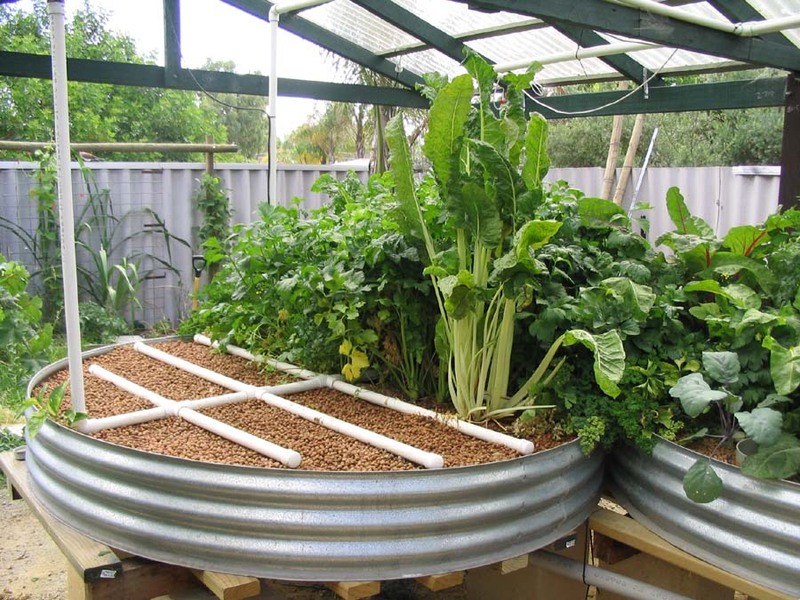 “Different Types of Aquaponics Systems.” Aquaponics and You DIY Aquaponics Smarter Gardening. Aquaponics and You, n.d. Web. 16 July 2014.